3M , Solargard & Suntek have a wide range of solar films to suit your window tinting needs. With a heat rejection of up to 80% your office will be kept cool to reduce air conditioning costs. The rejection of 99.9% of ultraviolet will stop fading of curtains, carpets, timber blinds & reduce the chance of skin cancers. The glare rejection of up to 96% make computer screens easy to see. The installation of solarfilm will give you full daytime privacy. 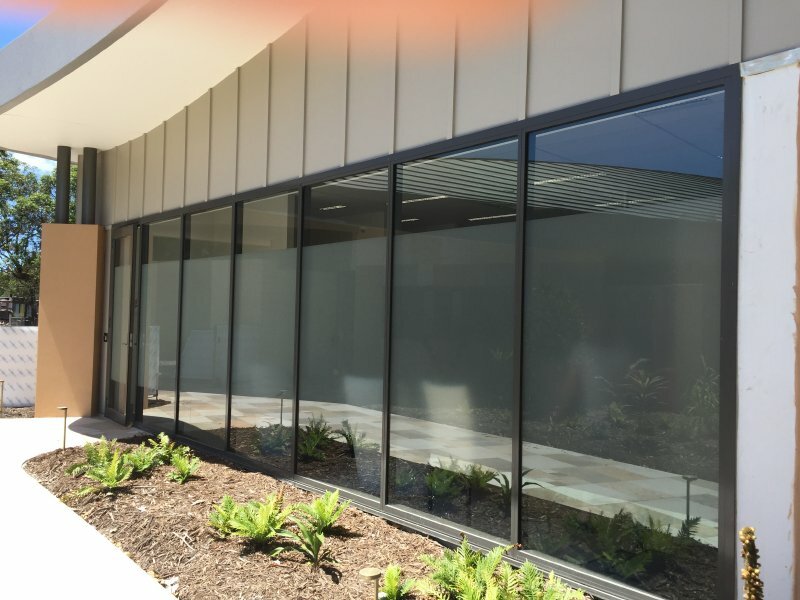 Opaque & frosted films can be installed to give day & nightime privacy,this includes 3M Frosted Crystal that can be electrocut into designs or signage. Safety & Security films can be installed to prevent accidents & intruders. Office window tinting installations have a factory backed written warranty, this includes colour change, adhesive breakdown & workmanship. Phone or email Acutech Window Tinting for your obligation free quote, you can find our contact details on the contact us page Acutech Window Tinting will cool down your office with our office window tinting on the Gold Coast.